When it comes to technology, it’s no secret that companies are constantly working and competing to introduce the most updated, cutting edge products. Phone companies like Apple and Samsung are always battling for the most memory, the better resolution and the best capabilities while PCs are getting thinner, faster and more flexible. TV companies are certainly no stranger to this new era of technological one-upping, either. TVs are getting bigger and clearer, and now come with a whole host of artificial intelligence options in the form of TV plug-ins. Resolution has gone from standard HD to 4K Ultra-HD and who knows where viewing possibilities will take our eyes next. But, perhaps less visible to those outside of the gaming community, are the advances in desktop monitors and systems. One might wonder where there was for computer manufacturers to go beyond the 1080p HD resolution formats, but like we’ve seen in so many other tech fields, there is always a beyond. That beyond looks like the newly introduced 1440p computer monitors that have been gaining in popularity amongst serious computer gamers. 1440p is a shorthand term for what is really another form of the 16:9 ratio, at 2,560 x 1,440 in terms of screen resolution. These monitors go above and beyond the standard 1080p HD resolution, ringing in a newer and more engaging visuals. 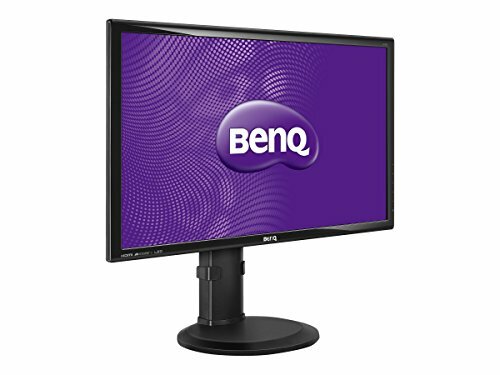 There are multiple names for 1440p monitors and you may have heard of them referred to as QHD, Quad HD, or WQHD. These other names come from the comparison between 1440p monitors and standard HD monitors at 720p. 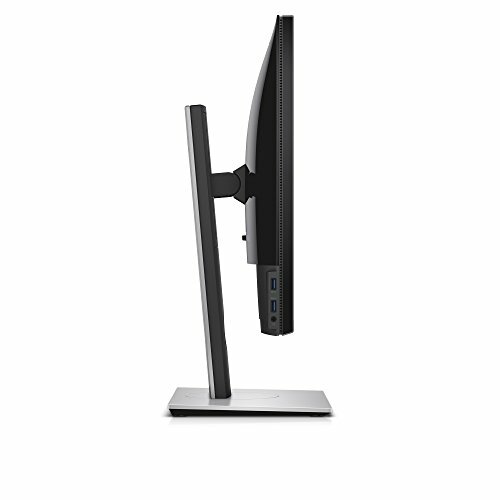 The 1440p monitor offers a 400% increase in clarity and resolution as opposed to the standard HD at 720p. That’s a massive increase in image quality, particularly at the close range with which most computer gamers will be viewing them. Now, it’s important to remember that when we're talking about the resolution, we're talking about the number of pixels which determines how clearly, sharply, the image is conveyed to the eyes. A better resolution has a higher x-and-y ratio than a lower ratio, meaning in turn, that a higher resolution means you have a higher visual quality when it comes to how your eyes perceive whatever images are flicking across the screen. High quality television exists primarily in the 4K, Ultra-HD realm, which signifies that it had a resolution four times better than the stand 1080p HD, whereas 1440p is becoming popular with computer monitors because it offers a cheaper solution to the very expensive 4K options out there. 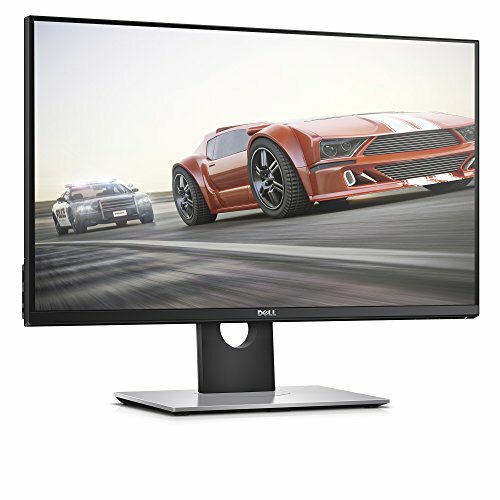 1440p monitors are a great deal for those looking to upgrade their current systems without severely hurting their bank accounts. However, if you're on the fence about whether or not to upgrade your 1080p HD monitor to something with a higher resolution, like a 1440p monitor, it's important to know what it is that you're actually getting. Additionally, you might be wondering if it is worth it in the end to just go for the 4K monitor, if better resolution and image experience are a top item on your check-off list. These are both great reasons to lean in and listen up when it comes to our advice on the necessity, reliability and functionality of 1440p monitors. As a technology consumer, whether or not you're a lover of video game media, it's always essential to know as much about what you're buying into as possible. A new computer monitor is a huge purchase and it's a risky thing to go into, especially if you're completely in the dark about what products will provide the best results for your specific needs. That's why we're here-- to give you the guidance and reassurance you need in order to make the kind of educated purchase you should be making. The biggest differences you’re going to notice between 4K monitors and 1440p monitors is that the higher you go in resolution, the better the image quality is going to be. This means that as far as resolution goes, a 4K monitor is currently the best you’re going to get. However, 4K monitors are still relatively expensive and budget-wise, are often out of reach for many gamers. Additionally, it is more likely that a 1440p monitor will support the requirements for most of the gaming systems out there, whereas with 4K monitors, you may run into issues when it comes to refresh rate capabilities. Additionally, the resolution in most games has not caught up to the advances in the monitor technology. Most developers are still working towards making games truly compatible with 4K whilst most games out there are already compatible with 1440p monitors. This basically means that currently, the best step up for gamers looking to upgrade their gaming technologies is a 1440p monitor. As mentioned before, 4K monitors are also much more expensive. Because 4K monitors are still considered to be relatively new technology, you’re going to be paying top dollar for any monitor out there. Like a newer car model, or a more advanced television, you’re going to be paying more for the upgraded features, which, in theory makes sense. However, because most gaming systems (as was said previously) haven’t caught up to those advanced features yet, you’ll be paying more for benefits that you can’t actually take advantage of. 1440p monitors, on the other hand, have been on the market for longer and therefore, manufacturers have more incentive to drop prices in order to move more models from store shelves into consumer homes. You’re more likely to get a better on a monitor that has resolution benefits that you can actually see and that are supported by the games you’re going to be engaging with. 1440p monitors are truly the best move for gamers who are looking to improve their systems without breaking the bank. When it comes to choosing the right monitor, and our system for picking the best on the market, there are a couple of things we looked at. The first is the size of the monitor in inches. It’s always good to know product size as it helps you determine whether or not it will fit into the space that you have already set up. The next categorization is the panel type, or more specifically, whether it is an IPS panel or TN panel. The third item is refresh rate, so essentially the number of times an onscreen visual is refreshed to prevent visible lag (similar to the way frames per second is perceived in film), and the last item is response time as measured in milliseconds. After looking at all of these different features, along with advice from avid gamers, we compiled a list of what we consider to be the best 1440p monitors. In addition to the features, we also looked at price, and found premium (the more expensive monitors) products as well as quality monitors that fall on the lower end of the budget spectrum. At the end of that day, you have to decide which product best suits your needs, but hopefully the following list will provide you with some great starting information on which 1440p monitors are worth the splurge. 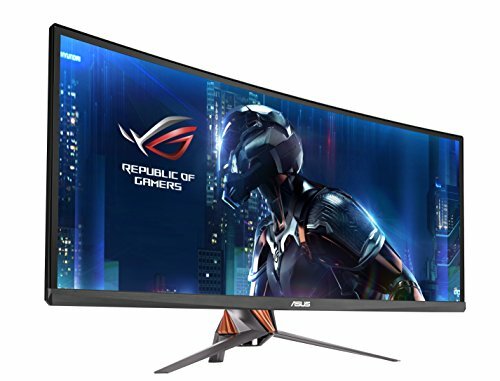 Coming in at number one, the Asus ROG PG348Q 34” Ultra-Wide QHD Swift Curving Game Monitor is our top premium pick for a few reasons. Before we say anything else, it should be made clear that this monitor is the perfect example of a product that is on the high end of the splurge spectrum. 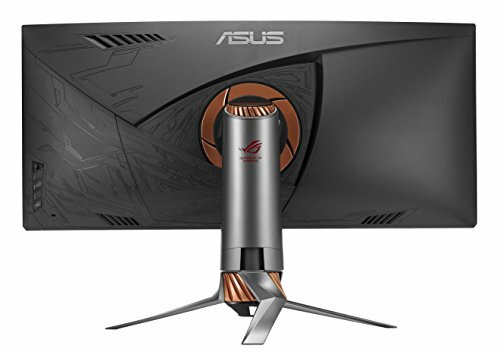 It’s one of Asus’s newer models and comes with a lot of updated features, particularly boasting better visuals and an upgrade from a previous response rate of 60Hz to a much better 100Hz. 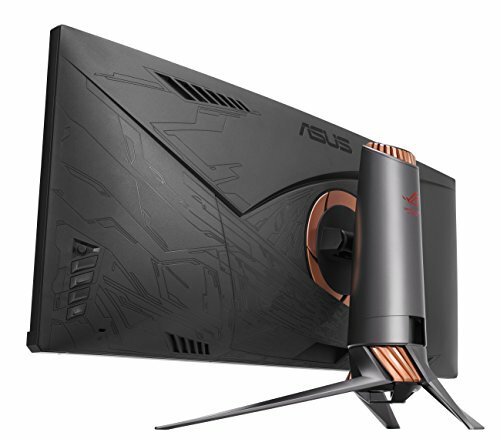 It also features the advanced Asus Eye Care technology which works at reducing both blue light and flickering, making it much easier to make it through those extensive gaming marathons. Coming in at 34”, this is huge monitor and it also features a curved design which extends visuals beyond your standard flat screen monitor. Now, you experience the images both directly in front of you, and in your periphery as well. It makes your gaming experience more immersive and truly brings you into the visual depths of each and every game. The LCD display also incorporates an IPS panel, brightening the colors and creating better contrasts on screen. It is hard to match the incredibly artistry that this monitor brings to life. 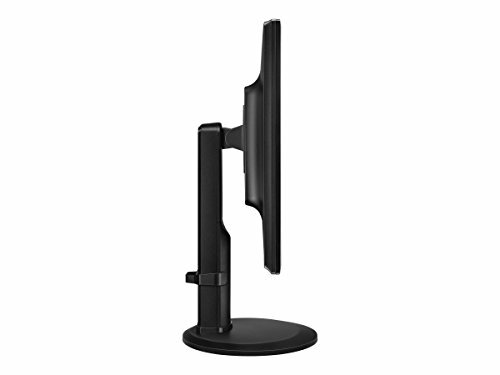 The purchased monitor also comes with an HDMI cable, power cord, adapter, 3.0 USB cord, DisplayPort cable, a user guide, support CD and warranty card. The main drawback to this monitor is that it is a very expensive option. 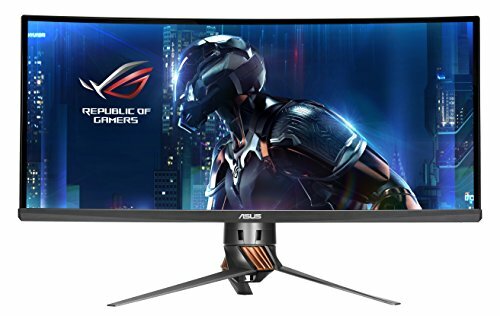 This monitor has incredible visual aesthetics and is a great investment for someone who is looking to upgrade their current gaming system for top price. Additionally, some users complain of occasionally image burn if one visual is left untouched for extended periods of time, though it seems the visuals return to normal after a few moments. The Asus ROG PG348Q 34” Monitor is our top pick so long as you’re not upgrading on a strict budget. This another one of our favorite high end 1440p monitors. Like its Asus competitor, the Acer Predator Curved Ultra-Wide QHD NVIDIA G-Sync monitor features an incredibly immersive gaming experience at a top-tier price. It rings up at about $100 less, making it a slightly cheaper alternative. 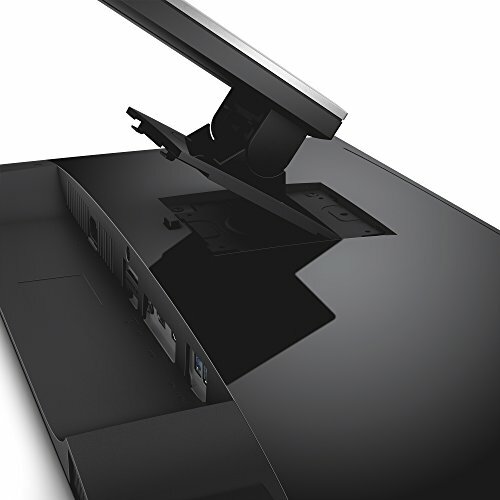 There are a lot of similarities between the two models, much of them coming in the design and structural elements of the monitor. The Acer Predator is also on the larger size at 34” in width, and features the same curved screen that extends the gaming visuals from directly in front of you and into your periphery. 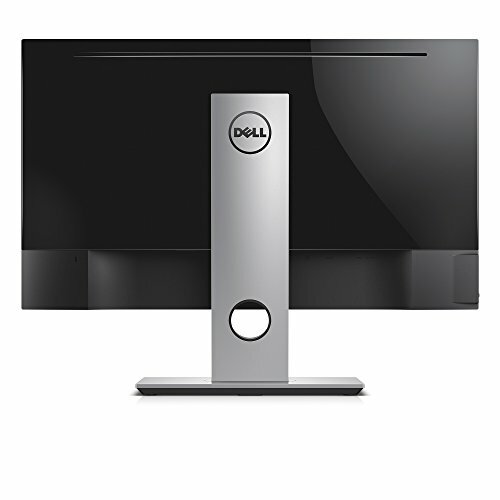 This immersive experience is what truly gives this monitor a leg up on all of its flat screened competitors. 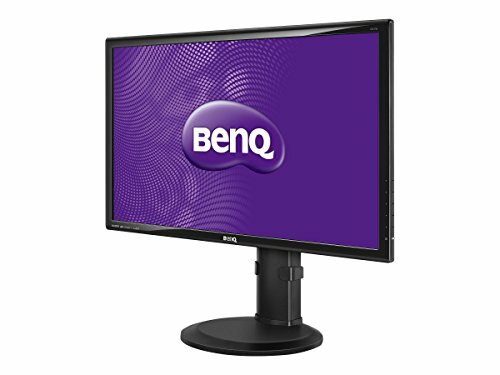 This monitor works at a standard refresh rate of 60Hz, but can clock up to 100Hz when the gaming system requires. The NVIDIA G-Sync also allows the refresh rate to remain synced with the GPU, creating better visuals and keeping gameplay smooth and uninterrupted. The visuals of this monitor are also incredible, boasting the same IPS panel that brightens colors and creates sharper, more appealing contrasts. 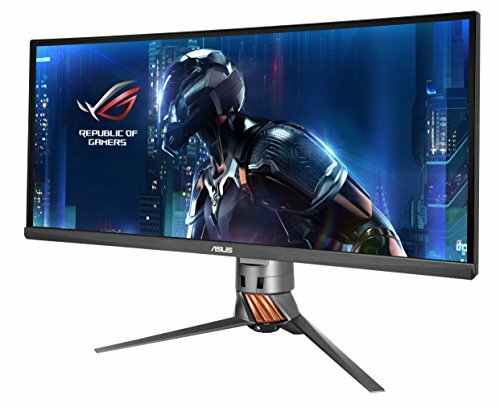 Though this monitor comes at a lower cost, it still maintains many of the same dynamic features as the Asus ROG PG348Q. Designed specifically with creating the best gaming experience in mind, the Acer Predator is highly rated and reviewed. Like we mentioned before in regards to the Asus ROG PG348Q, the main drawback to the Acer Predator is price. This is a system that works incredibly and provides incomparable visuals, but at a relatively high price. 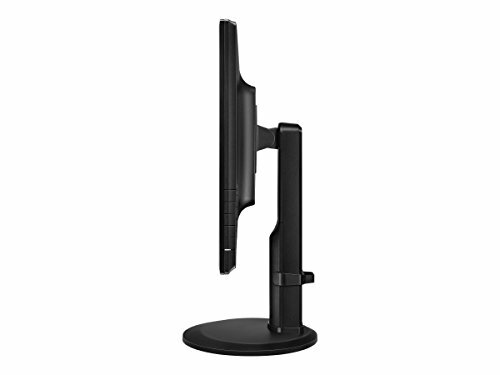 While it is entirely worth the cost, being on a strict budget may put this monitor out of realistic reach. In addition, a few customers report sometimes seeing dead pixels or faint horizontal lines across the screen. This issue seems to be highly uncommon, but if you’re concerned about shelling out over $1,000 on the odd chance that you may encounter less than stellar performance, we suggest you look at our less expensive suggestions. 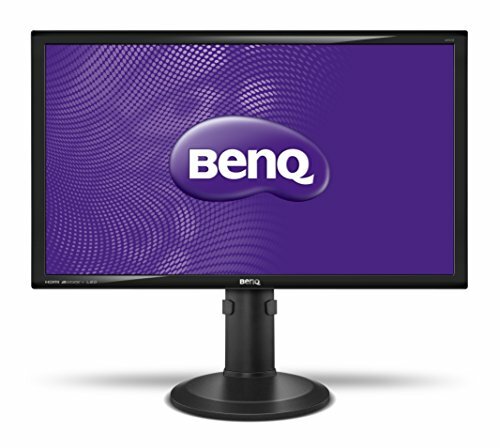 Coming in as our top pick for a more affordable 1440p monitor is the BenQ GW Series GW2765HT. Though it does not feature all of the fancy extra large curved screen designs, this monitor still boasts incredible visuals. Not to mention, it’s an incredibly popular choice in the gaming community and rings up at about a third of what an Asus ROG PG3248Q would cost you. It’s also a bit smaller than the curved screens, but is a pretty standard size at 27” in width. Customers seem to love this model and it even features some similar technologies that reduce flicker and blue light to make extended gaming sessions more comfortable for your eyes. 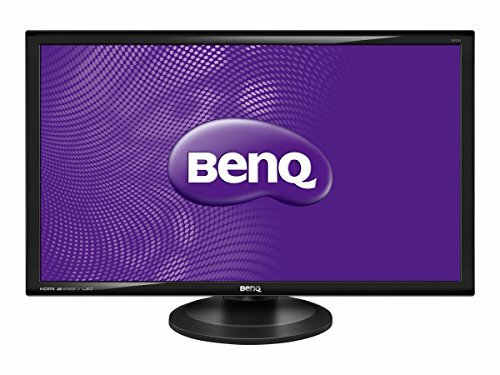 The BenQ GW Series GW2765HT is a great alternate to the more expensive models because it provides quality visuals at an affordable price. With higher resolution, the gaming images come across as crisp and clear, proving that you don’t need a curved screen in order to feel completely immersed in your gaming experience. Additionally, this monitor features Senseye Human Vision technology, meaning that it provide colors and contrasts that are specifically tailored to the human eye. It also features seven pre-set viewing modes which are each designed to accommodate different activities: Standard, Movie, Game, Photo, sRGB, Reading, and Eco. 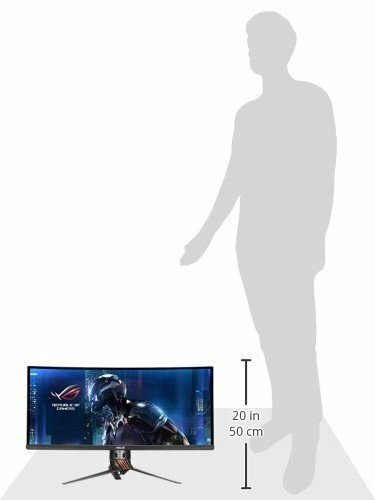 And, though this system maxes out at a refresh rate of 60Hz, that is also pretty standard and is comparable to the previously mentioned Acer Predator model which typically operates at the same rate. Perhaps the biggest drawback in comparison to the other models, is that this monitor does not feature the cutting edge curved screen. However, if that’s not a must-have feature on your list, this system is a great option. 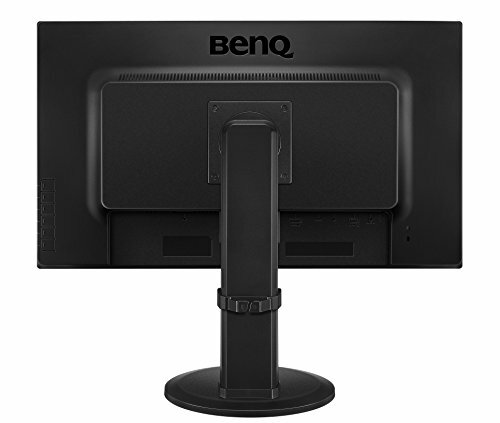 Though the BenQ GW Series GW2765HT monitor is a less expensive alternative to our premium picks, it certainly doesn’t perform in a way that would suggest it is a cheap, ill-designed system. In fact, a majority of customer reviews suggest otherwise. With beautiful displays and crisp images, this monitor is a great buy at an incredibly low price. A very small number of customers report a bit of tinted color, there are few negative comments about this product. 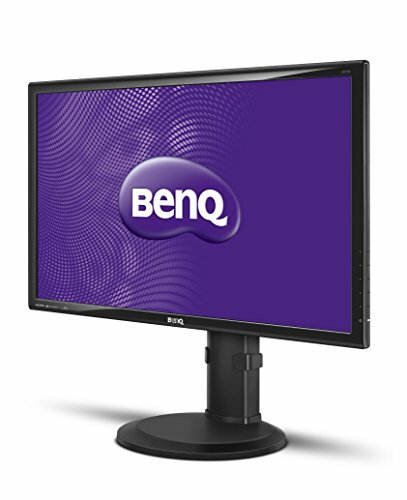 If you’re looking for a bargain, the BenQ GW Series GW2765HT is the monitor for you. 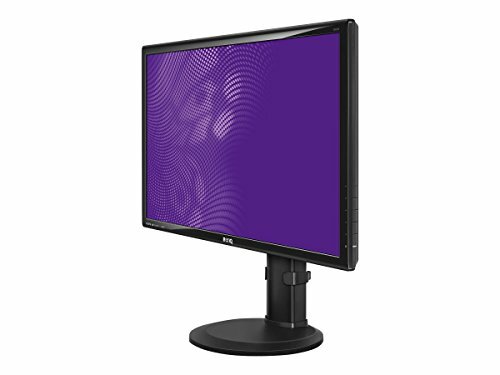 The Dell Gaming S2716DG 27.0" Screen LED-Lit Monitor is our runner-up for a less expensive 1440p monitor. It shares a lot of similarities in visual quality but differs in its design and manufacturing make up. This is the only monitor on our list that has a TN display panel as opposed to an IPS panel, but that does very little to change how incredibly clear the visuals are. 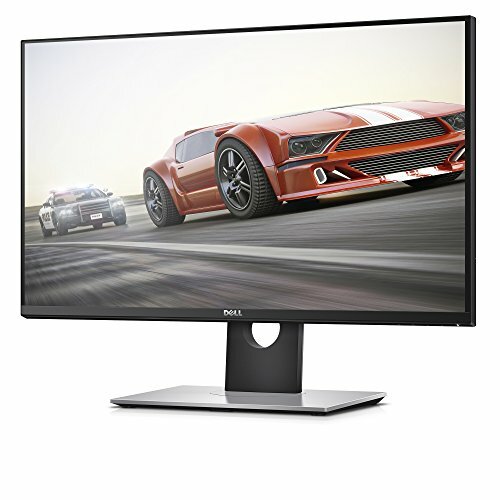 At about half of what you’d pay for our number one premium pick, this Dell gaming monitor is still a formidable product competitor. 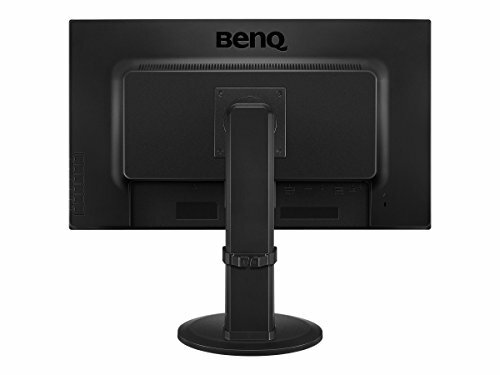 Much like the BenQ model, this monitor does not have the curved, extra long design that the premium monitors boast. But, as mentioned above, it still features incredible gaming experience. With the fastest refresh rate of any monitors on our list, with a max of 144Hz, this monitor is jitter-free and keeps gameplay unbelievably smooth. Additionally, this model features the same kind of NVIDIA G-Sync technology that keeps refresh rate and GPU compatible and consistent, ensuring that you’re in for an invigorating visual journey. The colors are sharp and vibrant, bringing your game worlds to life with the fullness and artistry. 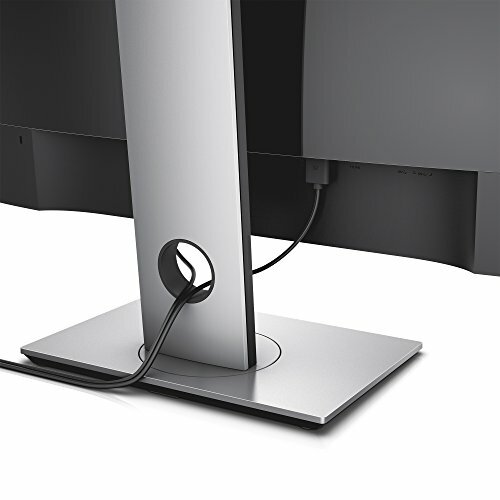 The monitor is also completely adjustable with tilt, swivel, pivot and height features that can be set to whatever position is most comfortable for long hours of gaming. 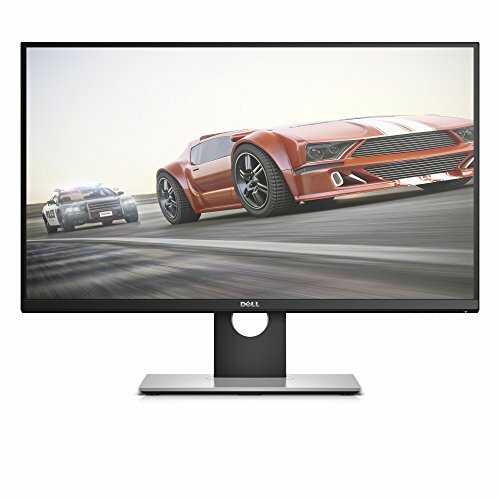 The Dell Gaming S2716DG monitor has very few drawbacks and comes in as our alternative runner-up primarily because it is a little bit more expensive than the BenQ model. 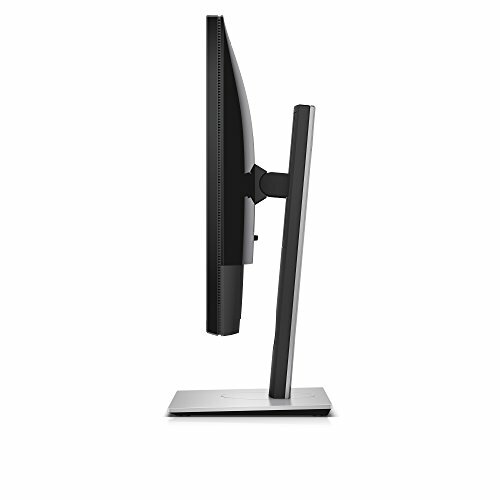 And, much like that model, it lacks the curved design that seems to be the future of luxury 1440p monitors. However, this monitor makes up for those design drawbacks with the adjustable features that allow you to experiment with what gives you the most comfortable and enticing gameplay. In addition, some customers report that colors are not as vibrant at first. Proper calibration can fix this, however. If you have a little bit of wiggle room in your upgrade budget, this monitor is still very affordable and is certainly worth the extra money you’d need to spend. Upgrading your gaming system is a big decision and there are a lot of options out there, particularly when it comes to the newer 1440p monitor models. 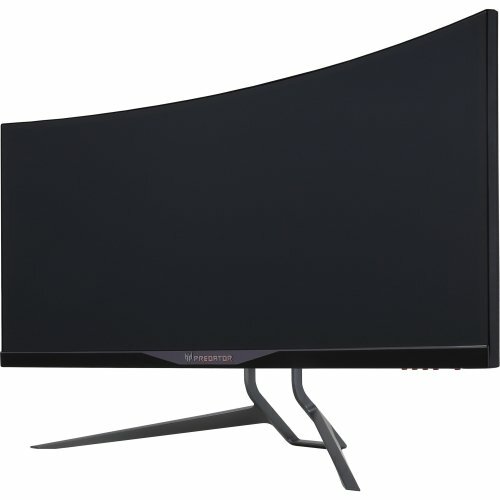 It’s easy to get overwhelmed, but the best thing you can do is to educate yourself on 1440p monitors beforehand. If you know which features are a priority going in, it will alleviate a massive amount of stress from the buying experience. It also allows you to narrow down your search to only the models within your price range or that have the specific features you’re looking for. Now, in terms of selecting the best monitor for your needs, remember that price isn’t everything. You don’t need to spend $1,000+ to get a great 1440p monitor. As we explored in our rankings, there are certainly more affordable options with many of the same features and functions as the high-end, luxury designs. Decide ahead of time how much you’re willing to spend and you’ll absolutely be able to find a great monitor that falls within that price range. You shouldn’t feel like you have to break the bank in order to make your system upgrade worth it. It’s also a good idea to keep an eye out for promotions, discounts or even consider buying a used or refurbished monitor. Refurbished models must be okayed by the manufacturer before being resold, so you know you’re still getting a top quality product even though you’re paying less than what you would for a new model. These are great ways to save yourself a few bucks in the process. Another important sentiment to keep in mind is that your gaming system has to be compatible with the 1440p resolution in order for the purchase to be worth the time and money. If your current system can’t support a 1440p monitor, it might be a better idea to look at other monitor options or to think about investing in a newer gaming system before splurging on a fancy 1440p monitor. This is where doing your research really comes in handy in the buying process. That being said, remember that you can also use 1440p monitors for activities outside of gaming. If you enjoy watching movies, standard internet surfing or just need a better monitor for completing schoolwork, investing in a 1440p model might be worth it after. Think about your specific needs when it comes to how you plan to use your system, and that will help you determine which system is the right fit for you. Technology is always changing and evolving, and as consumers of technology, we are constantly trying to keep up. With new technology coming out what seems like every other day, it can be easy to feel left behind and uninformed about your options as a tech user. That’s where the we come in— to help you figure out what products are right for you. And, in this new era of higher resolutions on everything from smartphones to televisions, there’s no telling what manufacturers will think up next. While 4K Ultra HD is dominating TV screens, there’s another visual standard for computer monitors. When it comes to curating the most visually aesthetic gaming experience, upgrading to a 1440p monitor might be a step in the right direction. These monitors are cheaper alternatives to the newly introduced 4K monitors and offer higher compatibility rates and incredible image quality at a much lower price. While our list of top premium and alternative 1440p monitors is well-researched and a great place to start, keep your eyes open. The only way to make the best investment you can, is to make sure you’re well-educated on the kind of product you’re investing in. Do your research and determine what monitor suits the needs of your gaming and everyday usage style. And, while you’re at it, make sure whatever monitor you pick is supported by the system you already have. The last thing you want is to drop a lot of money on a model that isn’t compatible with the technology you’ve got at home. 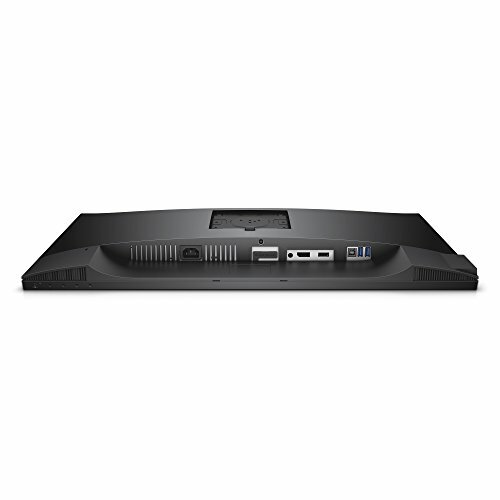 When it comes to upgrading your gaming system, don’t feel overwhelmed by the wide variety of options. Come to the table prepared to narrow your focus and you’ll be sure to find exactly what you’re looking for.